At Renovation Church we value community and the opportunities to build relationships with the people that live, work, and play in the amazing place we get to call home—the Hampstead/Topsail area! We're always looking for creative ways to further the conversations, build trust and deepen friendships with each other. You see, our School Kickoff Party is just one example of how we will not just do church but be the church in the ever-changing culture that we live in. These are exciting days for us as a brand new church that's seeking to reach every man, women, and child with repeated opportunities to experience the love and truth of Jesus and we'll do whatever it takes to inspire people to see God differently. In Mathew 14, we see an incredible moment take place as Jesus told his disciples to do the impossible: Feed a massive crowd of hungry people with little more than what would sustain only one family. The disciples had told Jesus to send the crowd away to find food on their own. Yet Jesus took what was given, blessed it and told the disciples to feed the people themselves. As they stepped out to do what must've have seemed foolish (trying to feed over 5,000 people with 5 loaves of bread and 2 fish—What?! ), God moved allowed a miracle unfold right out of their hands. Imagine the reaction of those being fed—"Is this the Messiah?” they must’ve wondered. As the last portion was given out, the disciples collected baskets of leftovers, awestruck by what they had just witnessed. Personal engagement allowed them to experience the impossible become possible. That’s what we get the privilege of doing this Sunday at the School Kickoff. Do we expect a miracle to unfold because of feeding people pancakes? No. But we are praying that as a result of serving pancakes, miracles will happen in the lives of those that we are serving. So that ultimately, marriages will be rescued, addictions will be broken, families will be restored, and lives will be forever changed by the message of Jesus. 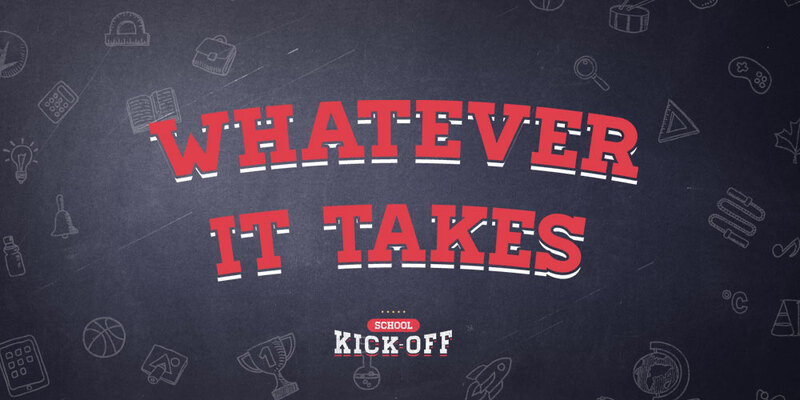 Don’t’ miss out on the opportunity to intentionally invite your friends, neighbors, and family to the School Kickoff Party and take a step towards being apart the mission of serving our community—Because every person needs a miracle from Jesus.